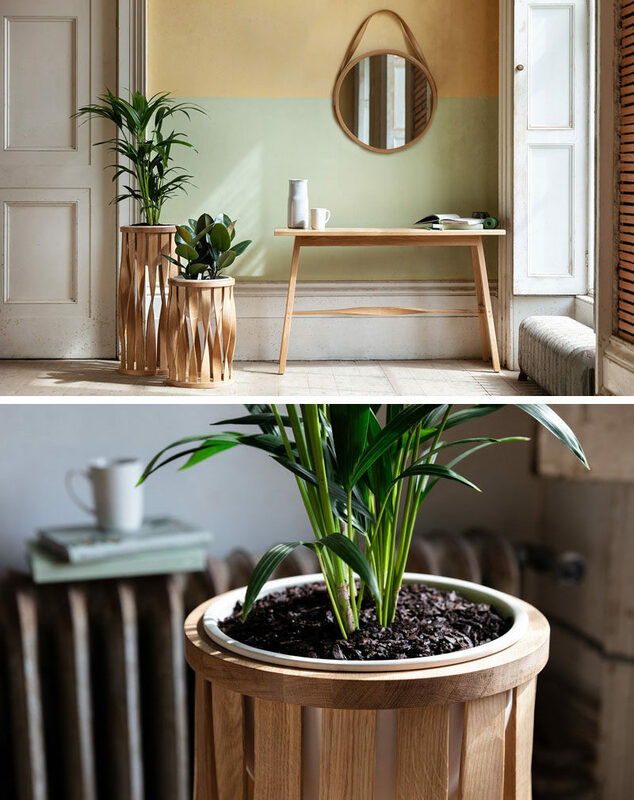 From his studios in Cornwall, England, designer Tom Raffield has created his new line of luxury planters named ‘The Green Range’. 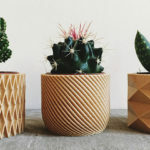 The new collection includes designs that are hand-shaped, using sustainable wood, and created as sculptural pieces of art. 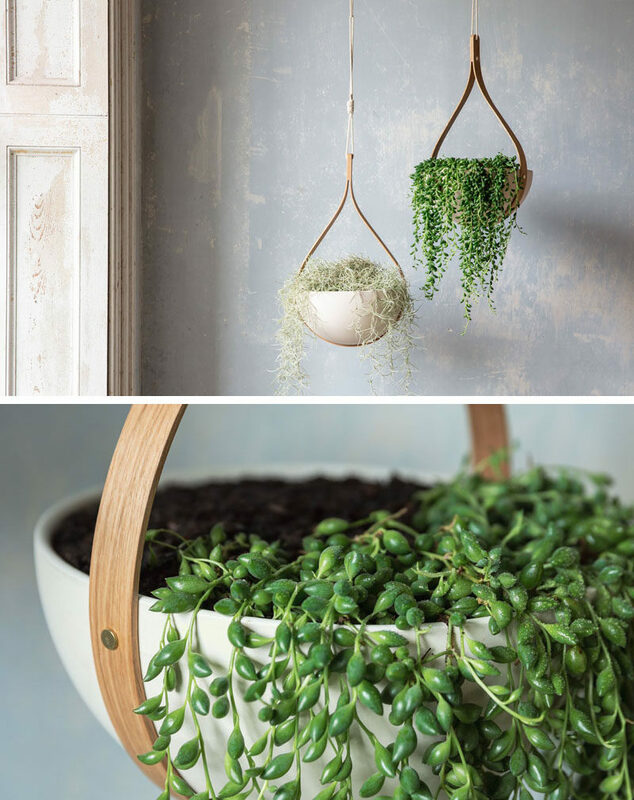 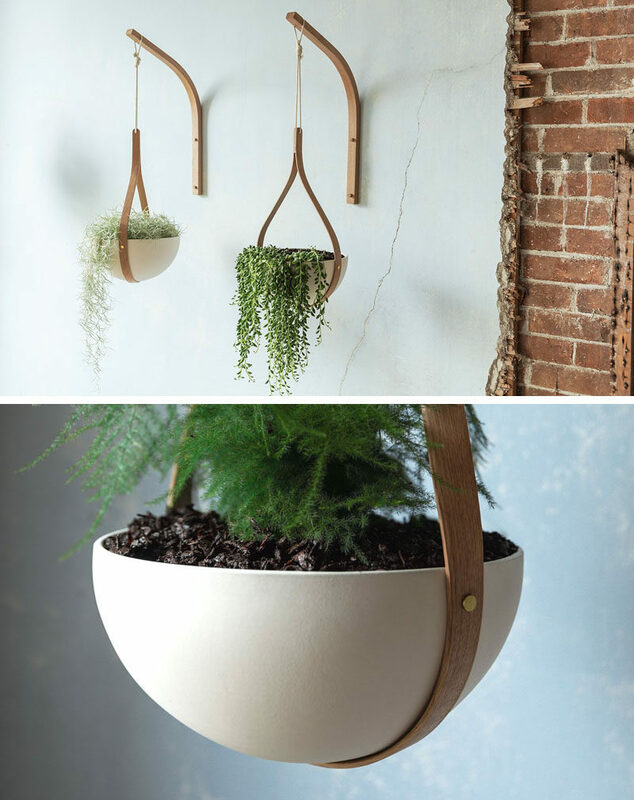 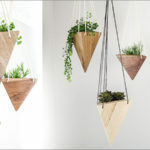 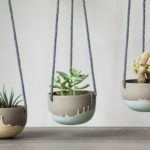 Two of his designs are named Morvah, and they are either a ceiling hanging planter or a wall hanging planter, that features a loop of steam bent wood with a sleek edged, hand glazed, ceramic planting bowl. 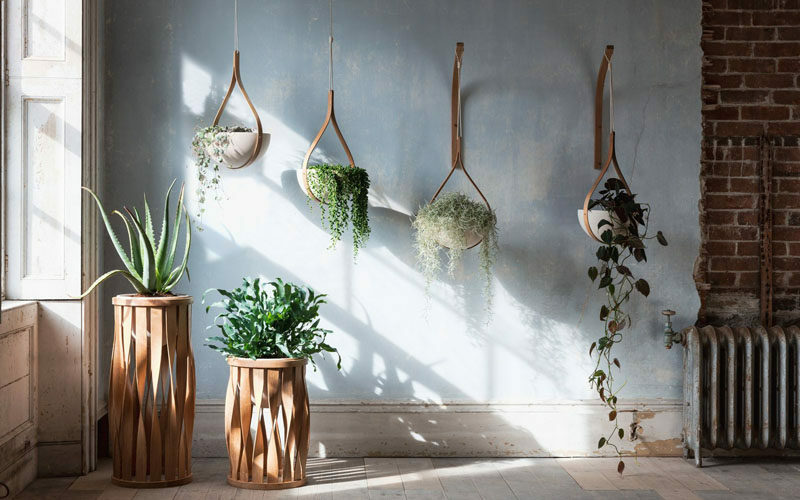 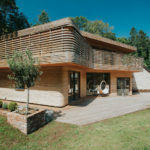 The other two designs in the collection are named ‘Merryn’, and they are floor planters, in a tall or short height, that feature sixteen blades of twisted steam bent wood that nestle a handmade earthenware bowl.